Talk about "getting caught in the act," that's exactly what security lights with camera will do. Using a security lights with camera device will not only illuminate the subject with a flood of high wattage bright white light, but it will take still pictures or video images of them too. Talk about “getting caught in the act,” that’s exactly what security lights with camera will do. Using a security lights with camera device will not only illuminate the subject with a flood of high wattage bright white light, but it will take still pictures or video images of them too. It’s a proven fact that the incidence of crime is decreased in areas that are well lit by bright security lights. Obviously, criminals and trespassers are less likely to frequent areas that are strongly lit because of a higher probability of being caught and ultimately being prosecuted. In addition, both the London, England and New York City police departments have also proven that the mere presence of video cameras reduces the incidence of crime. So why not combine these two into one with a security lights with camera system that offers the power and protection of both? 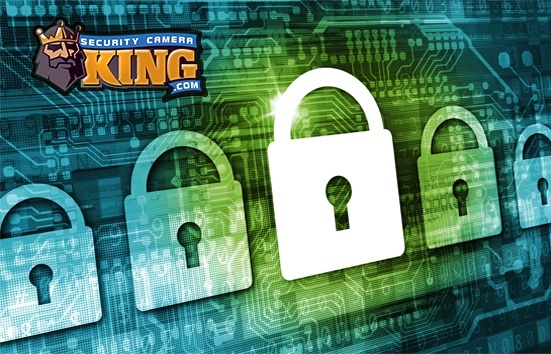 Generally, a security lights with camera system is a self contained unit. However, using motion detectors, digital video camera illuminators, and digital video cameras, it is conceivable that a custom made security lights with camera system can also be constructed. However, for this article we will limit our discussion to the more common self-contained units. • Machinery and other valuables kept outside. A typical security lights with camera unit will contain a high-wattage motion activated halogen lamp. Most units use halogen elements rate at about 500 watts. Mounted somewhere on the unit (usually directly below the lamp) is a built-in digital video security camera. Both the lamp and the camera are activated by an on-board motion detector so that when motion is detected, a relay activates the camera and turns on the security light at the same time. The motion detector used in these units is usually a PIR or Passive InfraRed motion detector. The PIR works by scanning the field of view of the camera and security light. It detects the inherent infrared radiation being emitted in this field of view. When a sudden change in the infrared radiation signature occurs, it interprets this to be an object in motion (such as a human walking past it). The PIR sensor is connected to a relay that is then switched to the “On” position activating both the security light and digital video camera at the same time. The camera immediately begins taking pictures or digital video footage. Since digital video is actually several digital photographs taken at a high rate of speed in succession, the security lights with camera unit allows you to set it in advance to take either digital still photographs or digital video. The digital photographs or video are saved by the on-board DVR. The mini on-board DVR usually consists of some sort of built in memory that can be expanded by adding additional memory devices to it (such as a thumb drive, an SD card, etc.) To access the digital photographs or videos, simply remove the portable digital memory media and plug it into your computer. 4) Setting the camera and light for duration of the “On” state and the type of digital picture format. That’s all there is to it. 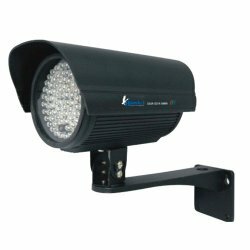 So if you are looking for maximum security at a safe distance with relatively low price, you should consider purchasing a security lights with camera system today.